 Source: Inspired by Fiore dei Liberi’s treatise, this kind of sword is depicted several times also in period miniatures and frescoes, and similar examples can be found among original specimens like the Black Prince’s sword. 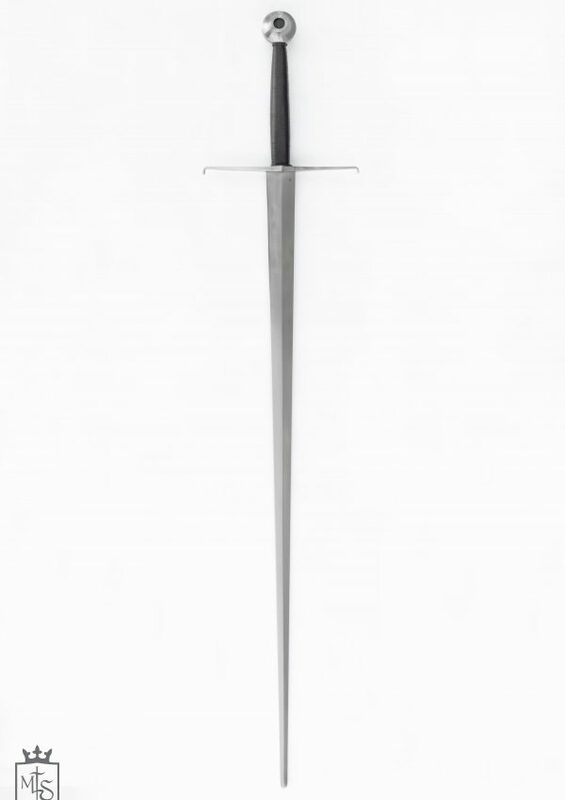 Weight: with J1 disk 1550 gr. – with T5 faceted pear 1450 gr. 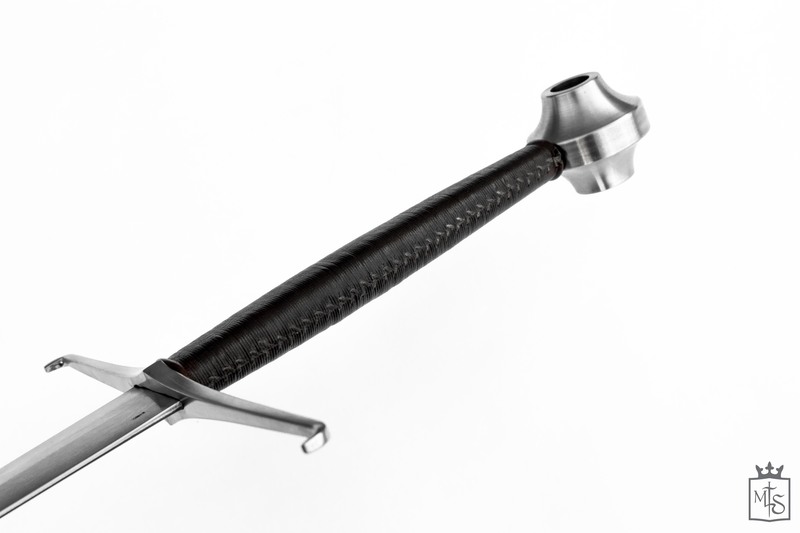 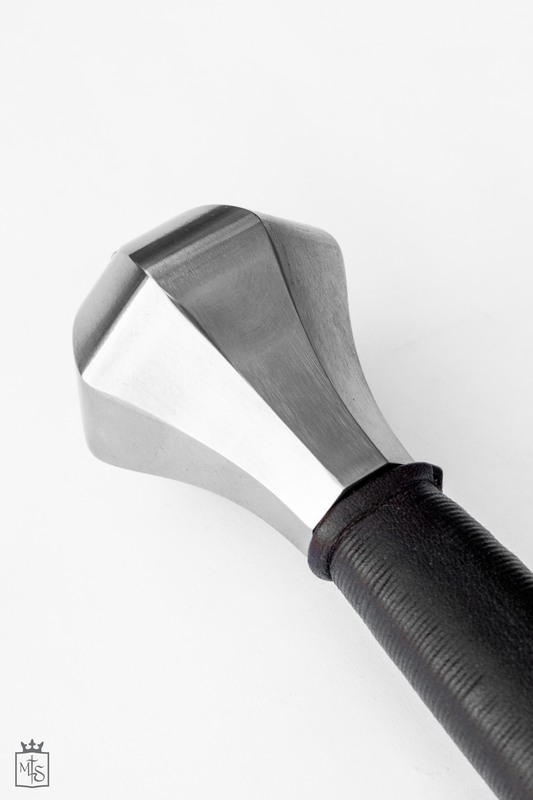 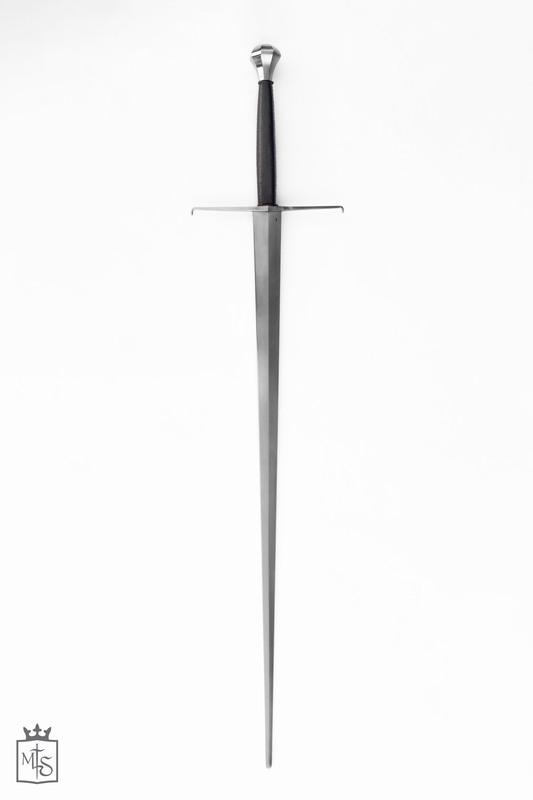 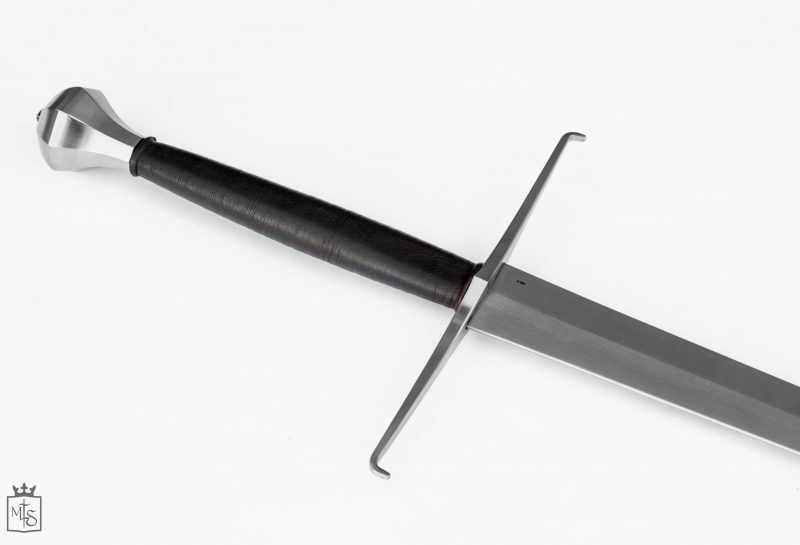 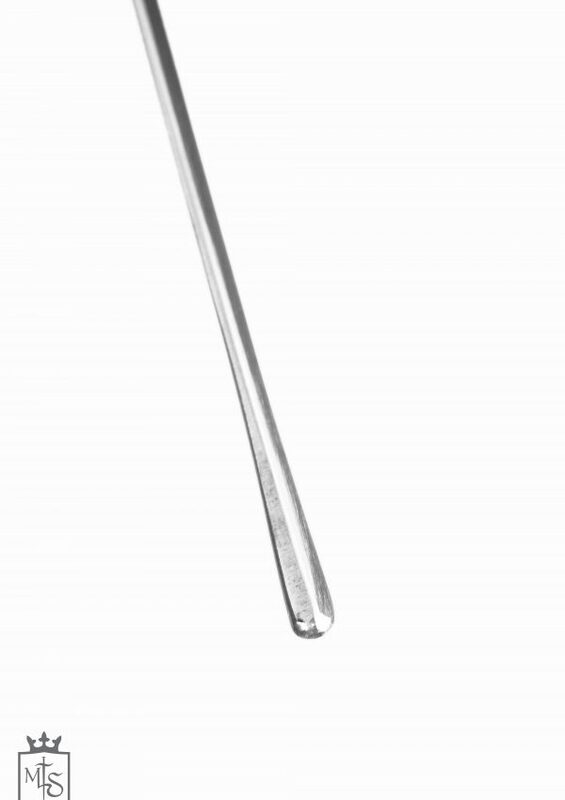 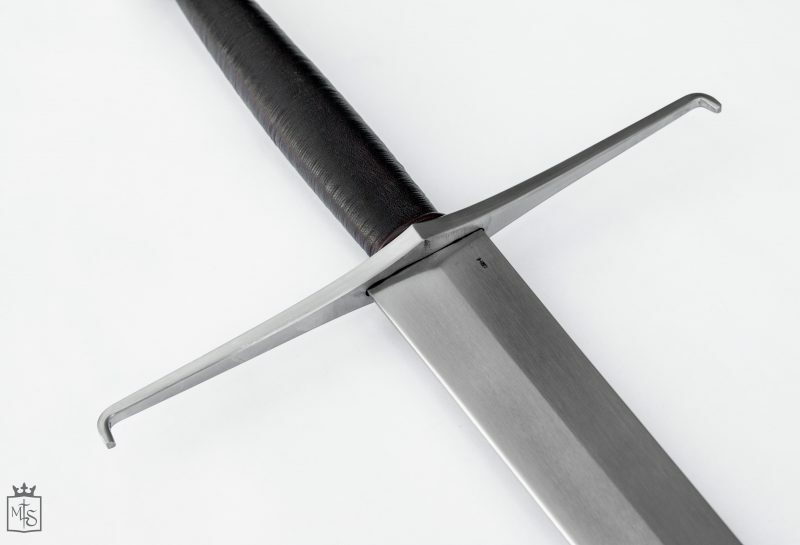 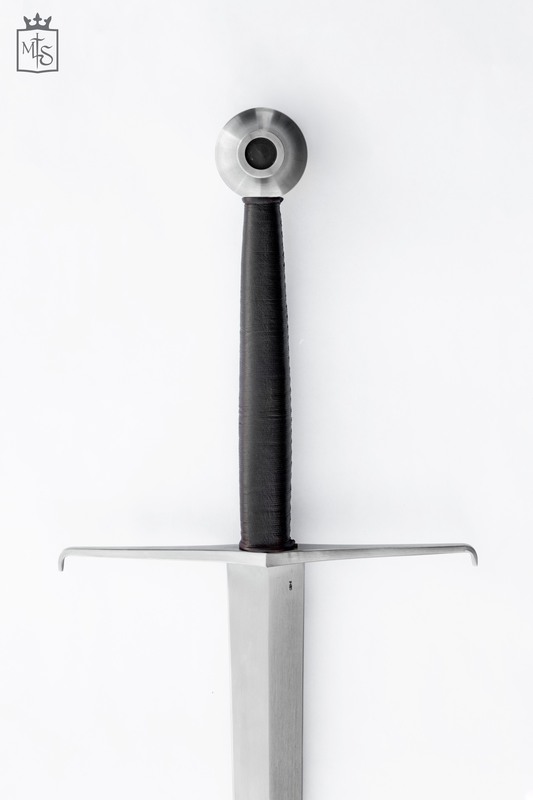 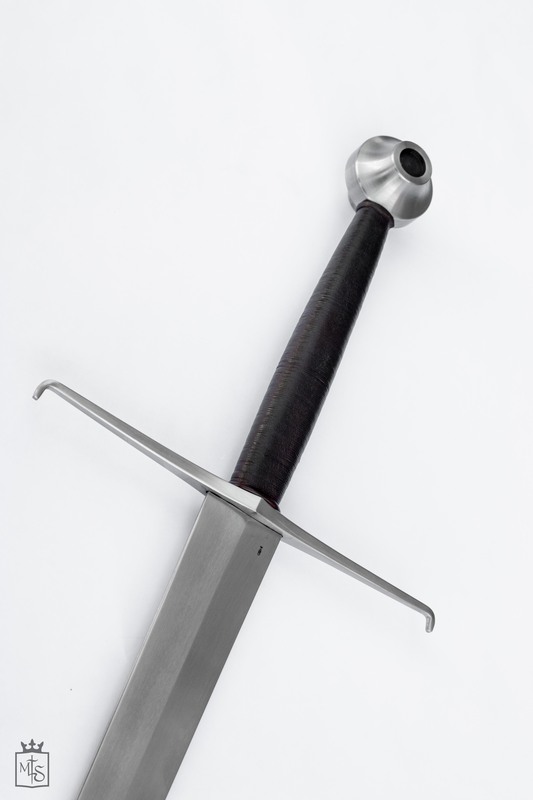 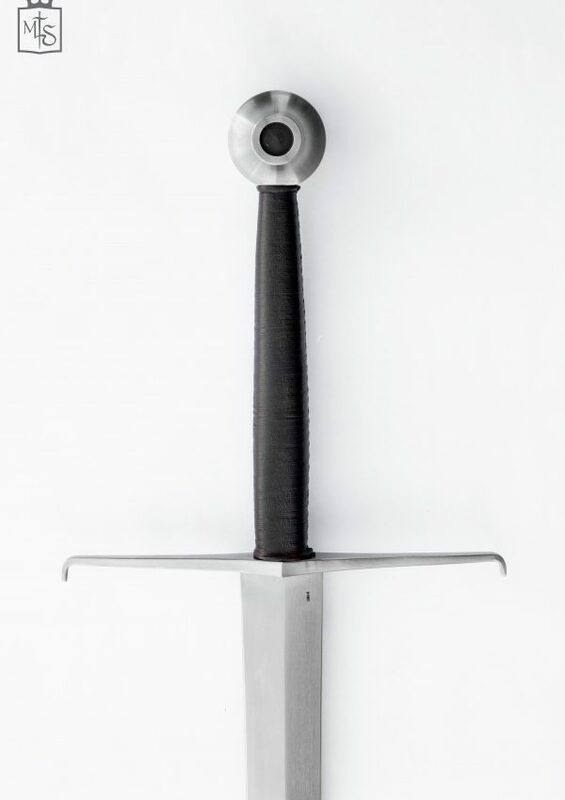 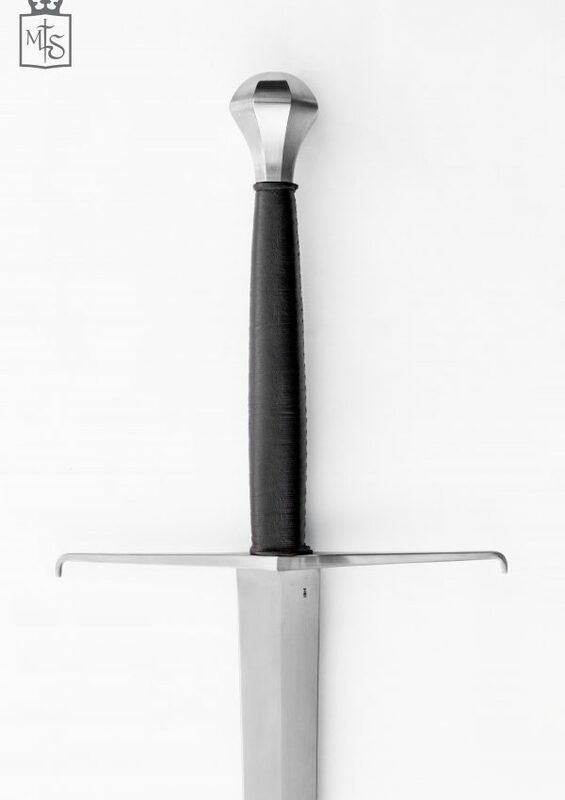 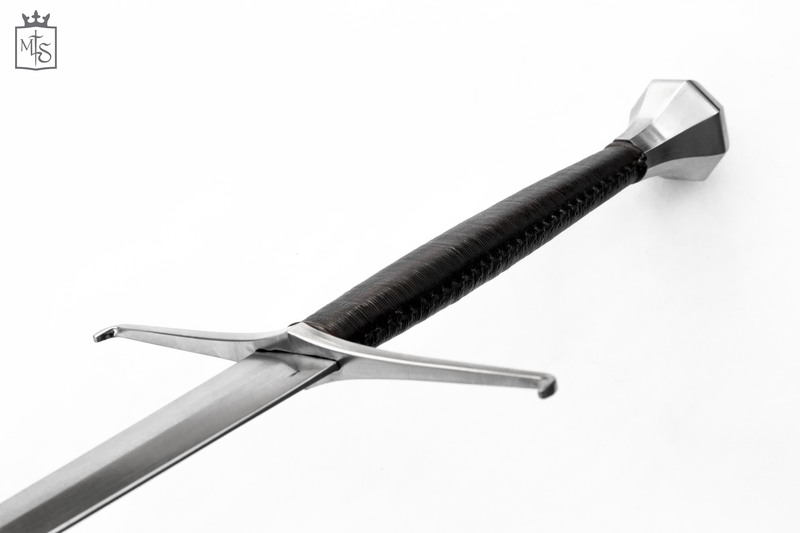 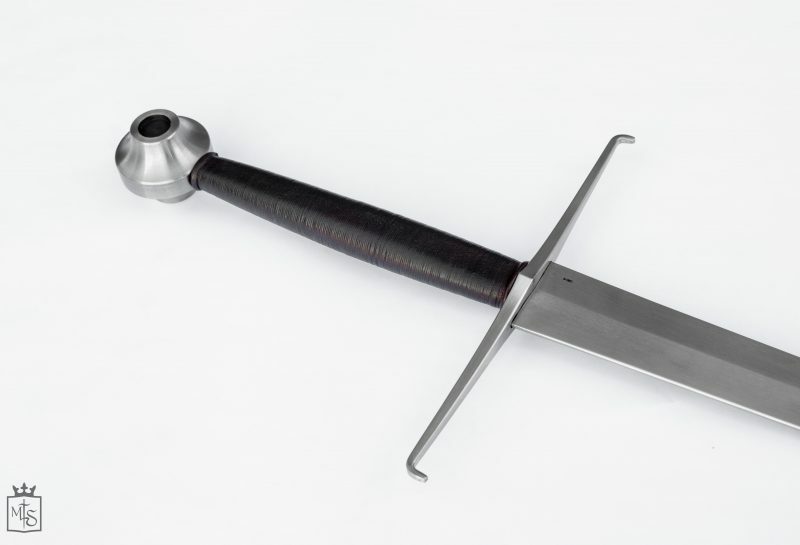 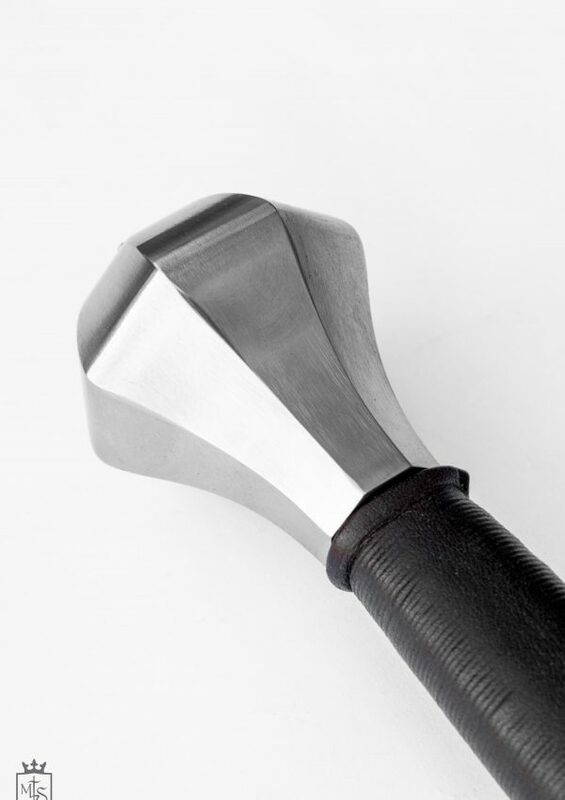 The Flos Two Handed Sword is designed on Oakeshott Type XVa, a blade that was common from mid 1300 up to the mid 16th c. The Flos Two Handed Sword has an extreme triangular profile taper and a diamond section, with an acute point that is, as usual, rounded and thickened for safety and study. 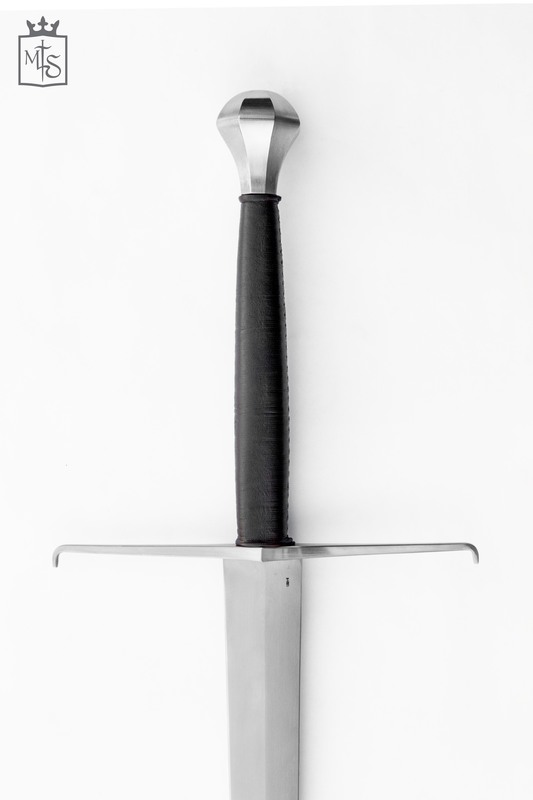 Perfect for two handed sword late medieval techniques and as a high end reenactment sword.